Going to the gym? Psyching yourself up for a marathon? Getting ready to tell someone off? Put that Red Bull away and plug in My First Earthquake’s Friction. It’s all the punch thrust you need. My First Earthquake is comprised of 4 techies who have impressive personal resumes, from a Google designer to a “semi-famous but totally anonymous music blogger” (the damn tease won’t tell us who he is!) and all in addition to their obvious musical talents. 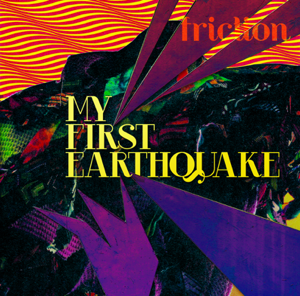 With the recording of this 4th release being funded by their fans (through Kickstarter in just 3 days), My First Earthquake has really accomplished something special. Free download of “Nice To See You” HERE.